Imagine having your very own Iron Man suit that could sense information and changes from your body and send that data to your smartphone. The idea of wearable smart or e-textiles has become popular due to their vast potential applications in healthcare, fitness, and aerospace. However, the greatest challenge to integrating smart devices into clothing has been the heavyweight, bulkiness, inflexibility, and non-water resistance of conductive materials. Graphene is a material that is able to overcome all those challenges. Graphene is extremely strong, lightweight, flexible, and highly conductive to heat and electricity thanks to its unique structure. Only 1 atom thick, with every atom exposed to its environment, graphene is formed by a sheet of carbon atoms in a hexagonal lattice. This makes the material ideal for creating sensors, as it can detect small changes within its surroundings. But, it has been difficult to produce graphene fibers in large quantities due to complicated and costly processes. 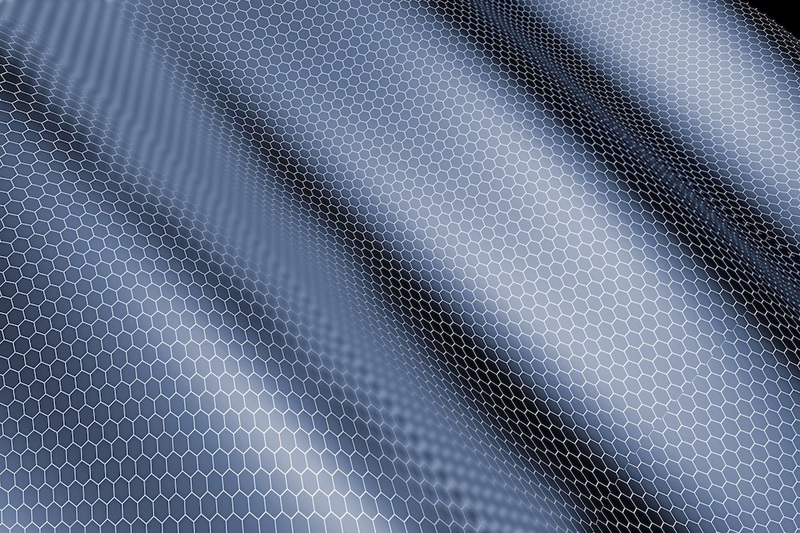 Recently, a team at The University of Manchester has developed a method to produce graphene yarns in bulk that is fast and easy and can be done using existing machinery. Not only that, these graphene yarns are washable and biodegradable. Cotton yarns are treated with a graphene dye made with reduced graphene oxide flakes, which bond to the cotton fibers, thus integrating them rather than simply having a coating of graphene. Previously, graphene was integrated into finished fabrics, but with the yarns, there are many more options to make sensors. This could revolutionize the smart clothing industry. 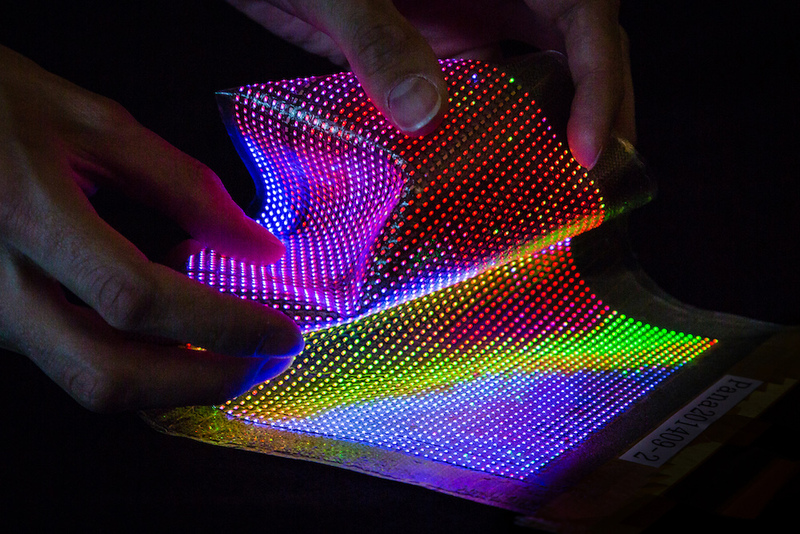 Already existing conductive yarns are coated with copper or silver particles, but graphene is lighter, stronger, and more flexible, allowing for softer, more stretchable fabric sensors. RFID tags could be easily integrated into the fabric for temperature data to be sent to a smart device via a wireless connection. Beyond fabric sensors, graphene could also replace other synthetic fibers such as polyester or nylon. This would reduce clothing weight and storage volume, as well as increase comfort due to graphene’s high elasticity. Another application of graphene-based fabrics are insulated garments. Graphene preserves and retains heat well and distributes warmth evenly in cold weather, keeping an even body temperature during physical activity. Finally, graphene has strong cytotoxicity, meaning it’s toxic to living cells and can help prevent the growth of bacteria, which has practical applications in healthcare, such as maternity and hospital clothing. While graphene yarns have only just been successfully produced on a large scale, their great potential in practical applications signals the beginning of a new era of smart textiles and multi-functional clothing.